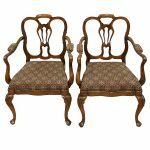 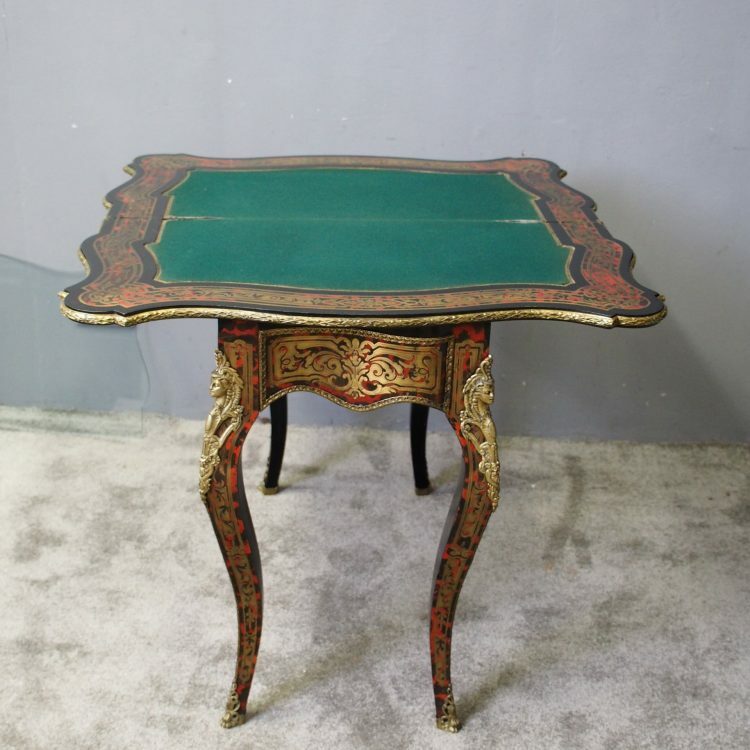 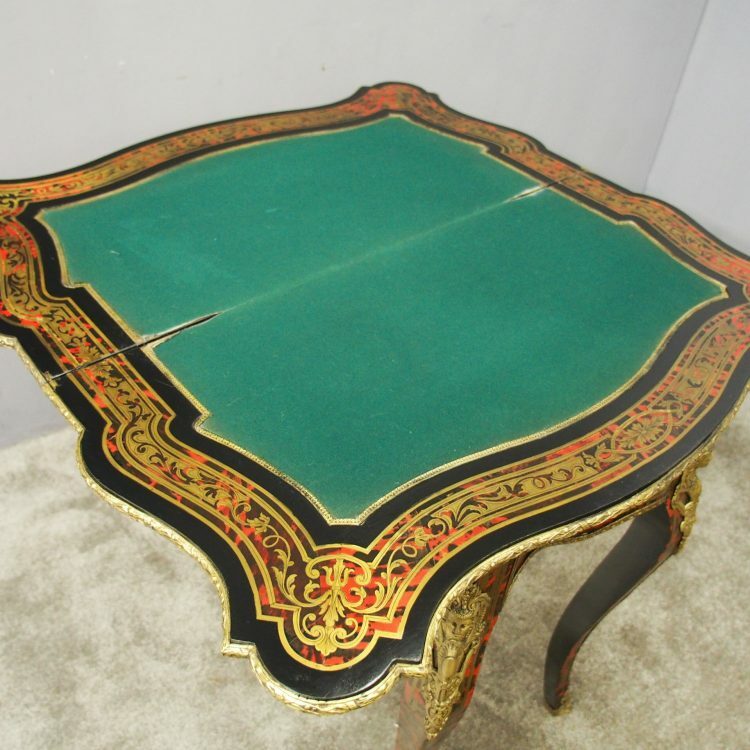 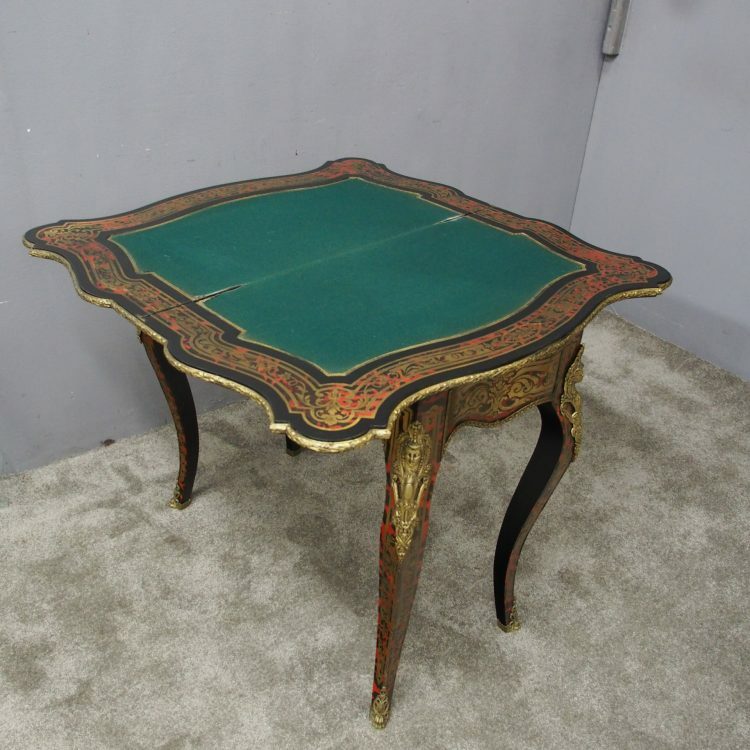 Circa 1870, French serpentine-fronted boulle fold-over games table. 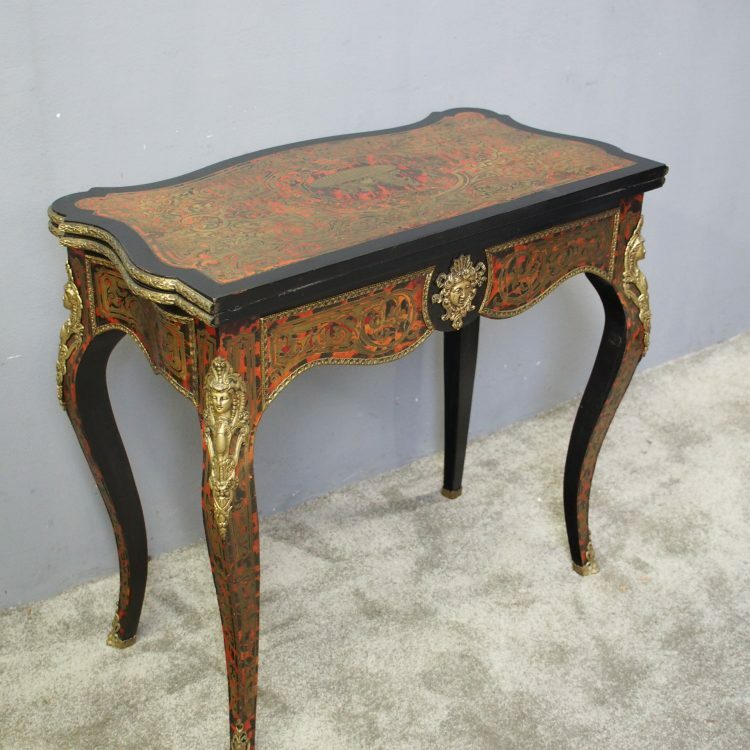 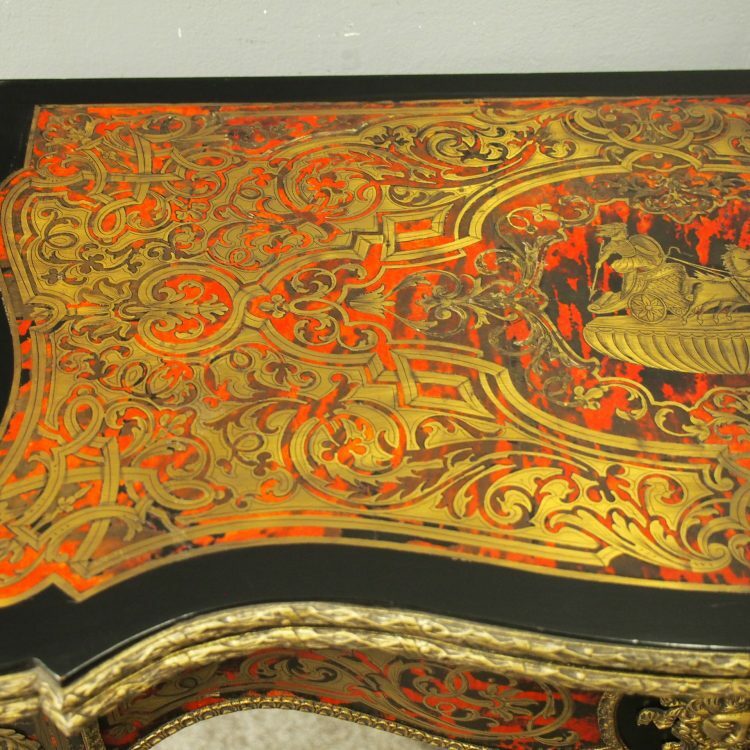 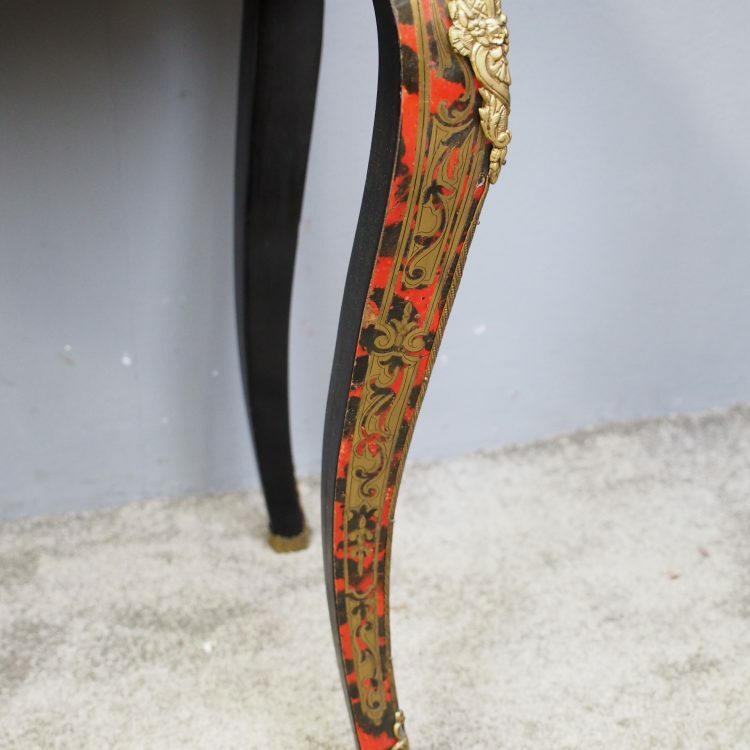 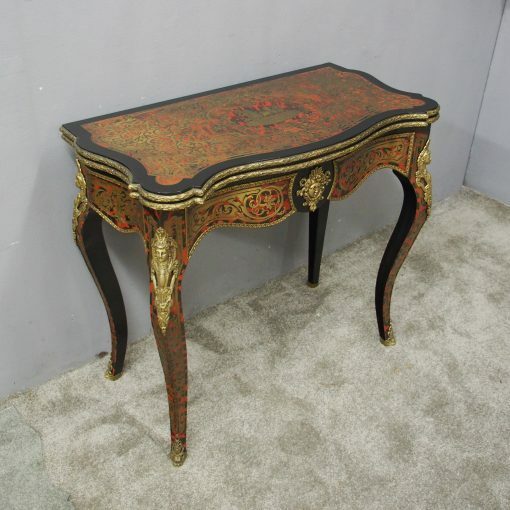 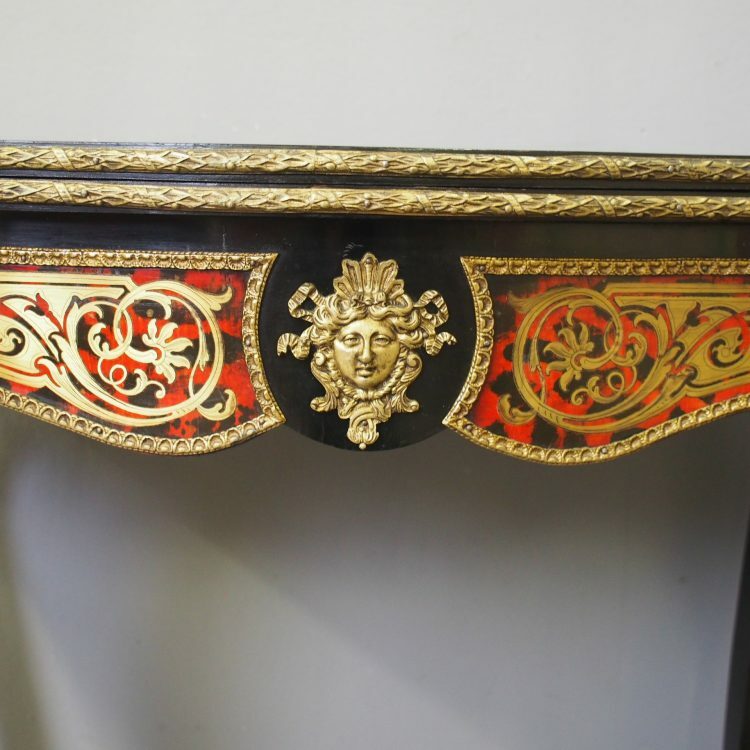 Covered in red tortoiseshell and engraved brass inlay with foliate and geometric designs. 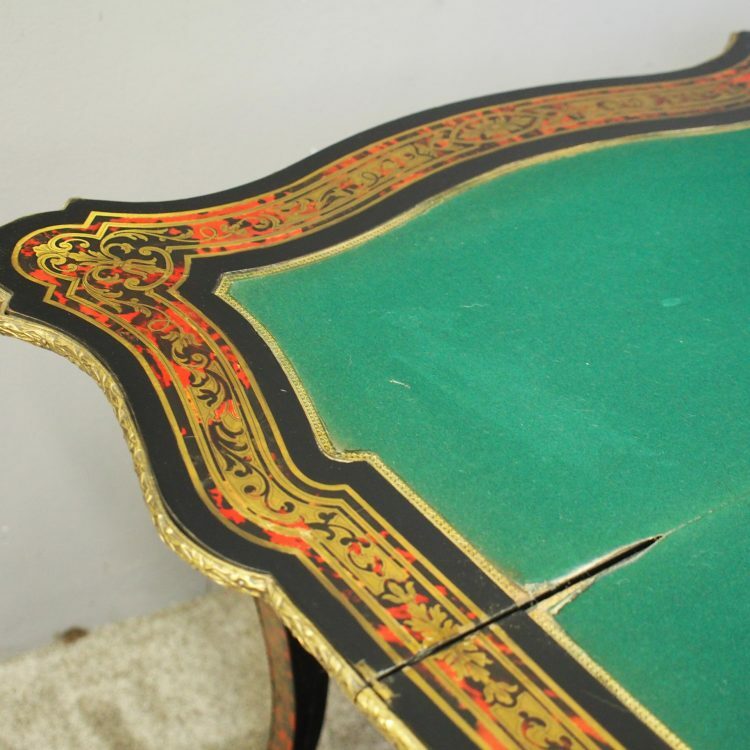 There is a charioteer design in the centre and the hinged top opens to a baize-lined interior. 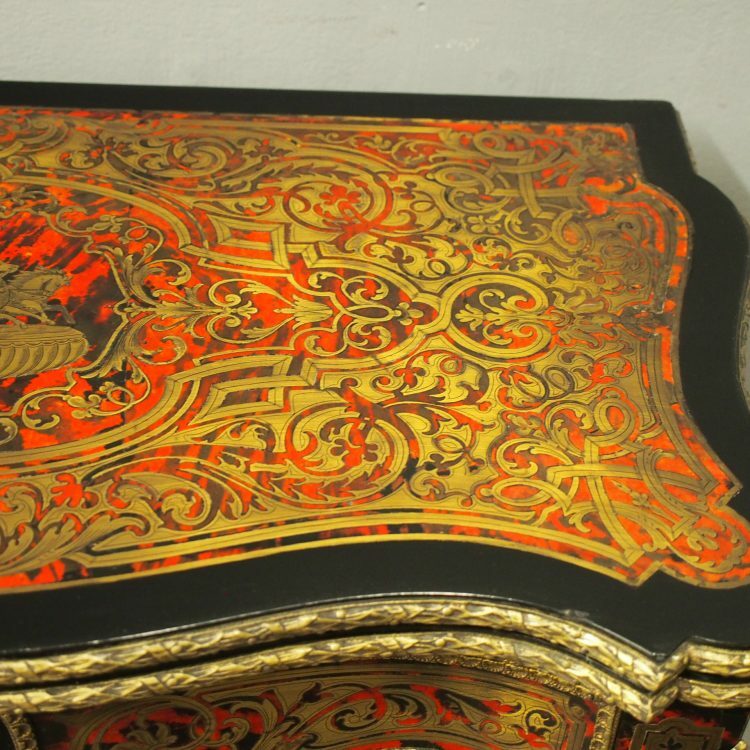 In addition, it has a boulle panelled frieze to all sides (making it freestanding). 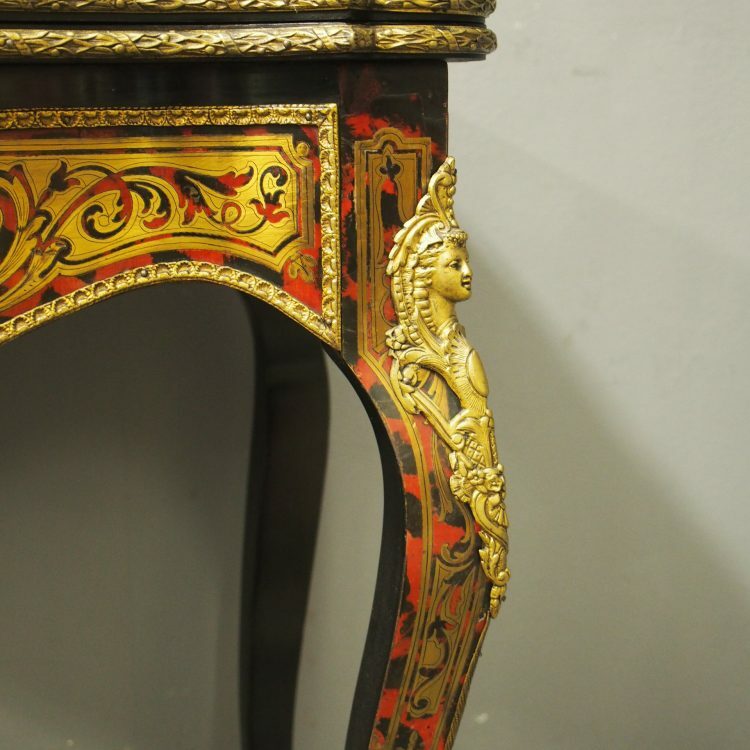 It has ormolu figurehead mounts to the sides and centre and a shaped apron, standing on cabriole legs with ormolu sabots. 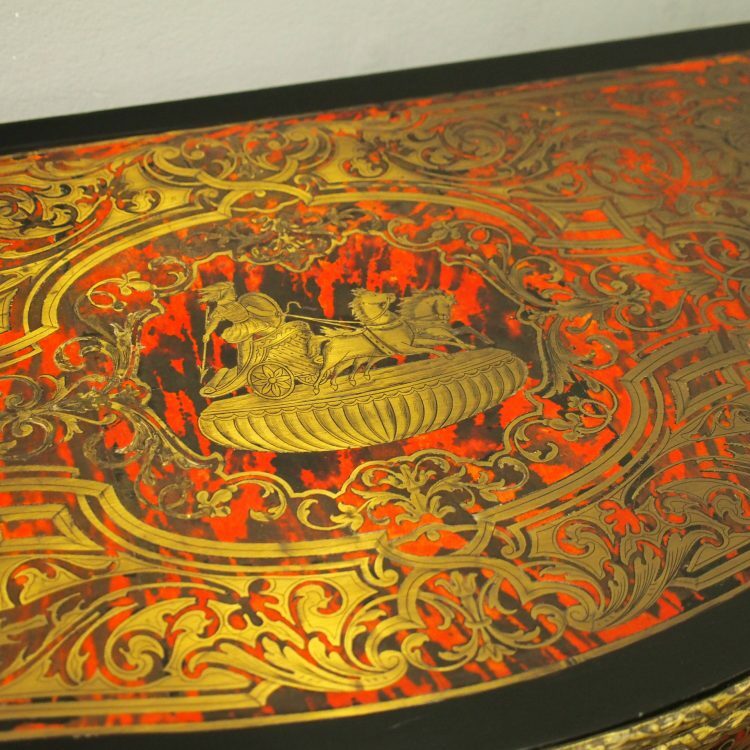 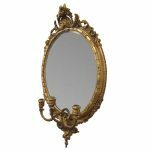 Learn more about the boulle technique from the Royal Collection Trust here.